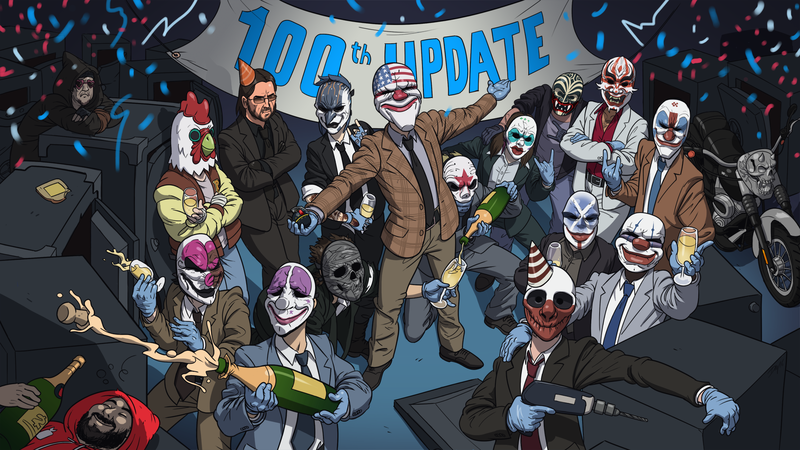 ­­STOCKHOLM (May 30, 2016) – Starbreeze AB, an independent creator, publisher and distributor of high quality entertainment products, today announced its agreement with 505 Games to acquire the full rights to the PAYDAY-franchise. The consideration for the acquisition amounts to 10.9 million B-shares in Starbreeze, equivalent to 30 MUSD (approx. 249 MSEK). After the transaction Starbreeze will own the full rights to the PAYDAY-franchise for any future developments or commercialization, including PAYDAY 2 and PAYDAY for mobile platforms. Starbreeze will retain full net revenue from PAYDAY 2 on the Steam platform starting retroactively from May 1st, 2016. Revenue generated by the console game PAYDAY 2: Crimewave Edition will continue to be split between the companies as before, and 505 Games will continue to publish the title. Furthermore, 505 Games will retain a 33% revenue share of Starbreeze’s net revenues from future sales of PAYDAY 3 capped at 40 MUSD, and after Starbreeze has fully recouped its development and marketing costs. It’s Starbreeze assessment that the price of 30 MUSD will be matched by corresponding revenues on the Payday franchise until such time Payday 3 is released in the future. Given the strategic value for Starbreeze to control its hit franchise it is both in the short and long term a sound investment. The 10 934 211 million new B shares will, post transaction, represent 4.3% of shares and 1.4% of votes and will be issued under authority from the AGM. After the issue, the total number of B-shares in Starbreeze is 196 832 410 and the total number of shares in Starbreeze 254 298 338. First launched in 2011, PAYDAY is a cooperative first-person shooter computer and video game franchise with more than 14 million players on PC, PlayStation 3, PlayStation 4, Xbox 360, XboxOne and SteamOS platforms.